The story follows Brian (Brian DiBonaventure), a once superhero who has settled down to live a normal life in rural Pennsylvania. He has a home, a wife, and a baby on the way, and life seems pretty great...until one day he is driving through town and spots an enemy from a life he's tried to put behind him. That ensuing battle ends in a bloody mess courtesy of a speeding train, and the events of the series escalate from there. Once other former fiends get wind of Brian's location, they start converging onto his hometown, looking for their own twisted revenge. Brian is helped along the way by Lincoln, an "is-he-or-isn't-he" friend from Brian's past that may also be trying to kill him. One Last Time is not your typical hero story. It's a character piece, more of a study of revenge and retribution. Everyone wants something, and everyone thinks they're right in even the smallest wars. It could have been very easy to take this series in an entirely different direction tonally; yes, there are well-choreographed fight scenes, but this isn't a BAM! POW! BANG! superhero film. This isn't a shoot-'em-up, secret agency film. And this isn't Marvel or DC. But instead, One Last Time takes the best elements of all of these things, and pieces them together to make something entirely unique. I'm a big fan of Ramer's work. He has an incredible eye, and I'm always in awe by the shots he sets up; his cinematography is beautiful. The story and writing are top-notch, and I was actually disappointed for it to end - the total run time of all the episodes stitched together is only about an hour, but even within that time, I became invested in all of the characters. The ending is bleak for our main character, but left wide open for a second season. 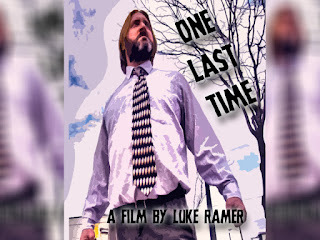 While a lot of filmmakers get stuck in their niche, whatever it may be, and make what amounts to the same film over and over again, it's highly refreshing to see a filmmaker like Ramer already branching out from his existing catalog and trying something new. The best part is, it works extremely well. Watching One Last Time made me not only excited to see a season two, but also amped my anticipation for The Taxidermist. It's clear that with each project, Ramer and West 2nd jump leaps and bounds over the last, and if that stays true, then we're in for a treat going forward. West 2nd is proving to be an indie force to be reckoned with.